DANIA BEACH, Fla. /Florida Newswire/ — The Dania Beach Arts and Seafood Celebration (DBASC) is seeking volunteers for the exciting fourth annual event from April 2-3, 2016. This two-day celebration, held in the heart of downtown Dania Beach in Frost Park at 300 NE 2nd Street, will feature numerous local and regional artists showcasing their unique creations. DANIA BEACH, Fla. /Florida Newswire/ — The Fourth Annual Dania Beach Arts and Seafood Celebration 2016 has raised the bar for entertainment, boasting an electrifying performance line-up featuring it's first-ever Grammy Award-Wining National Headliner, provided by the Casino at Dania Beach: Survivor. The celebration will take place on Saturday and Sunday, April 2 and 3, 2016. DELRAY BEACH, Fla. /Florida Newswire/ — Diverse Technology Solutions Inc. (DTS) a N.Y. based cloud hosting service provider has acquired cloud hosted Voice Over IP (VOIP) telephone service provider Voitual of Delray Beach Florida. The newly formed company DTS VOIP LLC will acquire the assets of Voitual rebranding the companies Hosted PBX Voice Over IP telephony service as DTS-VOIP adding another cloud product to the portfolio. SARASOTA, Fla. /Florida Newswire/ — John Cannon Homes was the most recognized home builder in this year's Parade of Homes 2016, sweeping the competition with sixteen awards including four in the category of "Best Overall," in a presentation held Thursday by the Manatee-Sarasota Building Industry Association. SARASOTA, Fla. /Florida Newswire/ — The Reader's Choice Awards 2016, an annual event presented by the Sarasota Herald-Tribune, was held last Thursday evening. John Cannon Homes once again received the first place award for Best Residential Builder in both Sarasota and Manatee Counties for the 24th consecutive year. TAMPA, Fla. /Florida Newswire/ — Tom Krueger, owner of Brayfield's Farm, recently provided the Lowry Park Zoo in Tampa with a rare French Poitou Donkey named Geraldine. The livestock conservancy lists the Poitou Donkey as critically endangered. In fact, in 1980, it was estimated that there was fewer than 80 of these delightful animals in the world. TALLAHASSEE, Fla. /Florida Newswire/ -- On Monday, Florida Governor Rick Scott sent the following letter to Michael Reininger, President of All Aboard Florida, urging All Aboard Florida to listen to the voices of local communities as they plan their private-sector rail service. The letter is available below and online here. TALLAHASSEE, Fla. /Florida Newswire/ -- On Monday, Fla. Governor Rick Scott signed House Bill 851 that lowers tuition for all Florida students. Governor Scott said, “Making sure all Floridians have access to an affordable higher education is one of my top priorities." 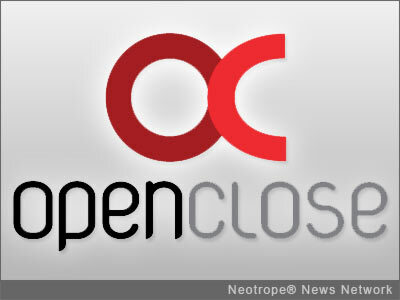 PALM BEACH, Fla. /Florida Newswire/ -- OpenClose, an enterprise-class end-to-end loan origination system provider, today announced that is has implemented the functionality necessary for lenders to adhere to the Consumer Financial Protection Bureau's new Qualified Mortgage (QM) and Ability-to-Replay rules. The company's client base is successfully processing QM loans. 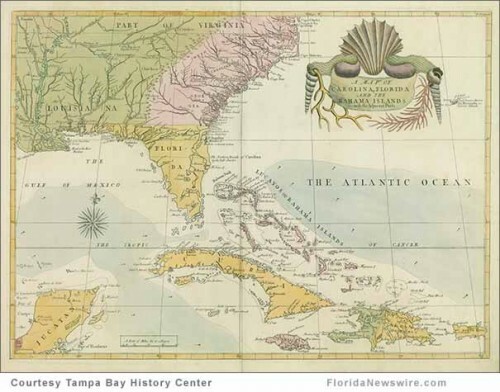 TAMPA, Fla. /Florida Newswire/ -- Before the South was “The South,” there was only La Florida. Indeed, nearly 100 years before the English arrived in Virginia, Spanish and French explorers charted a course for “The Land of Flowers.” Marking the quincentenary of Ponce de León’s 1513 landing on Florida’s shores, the Tampa Bay History Center presents Charting the Land of Flowers: 500 Years of Florida Maps, one of the most comprehensive exhibitions of Florida cartography ever assembled.